You never have to worry about shopping or selling in bad weather at the Omaha Flea Market. 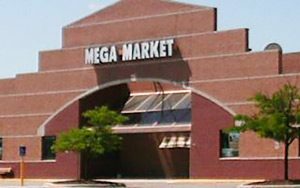 This mega market is air conditioned in the summer and heated during the winter so you can shop around or sell in comfort. All different kinds of fun knick knacks and gifts can be found at this market including jewelry, fashion accessories, home decor, toys, DVD’s, and more. Owners Mike and Clarice Waite are always welcoming new vendors. Whether you have a home-based business, are an artist or crafter, or even a professional ‘yard-seller,’ there is space for you at the Omaha Flea Market. There are no long-term commitments, so you can rent a space for a day, a whole weekend, a month, or even a year. Call 402-891-5720 or email mwac2003@yahoo.com for additional information on becoming a vendor. Give your business more visibility by selling at the Omaha Flea Market, which typically sees hundreds of customers walking through the market every week. Each long-term vendor will also get the chance to be listed on their “Vendors” page on their website for free. Move-in or set-up can be done on Friday or every Saturday and Sunday from 8am to 9am.